Look at meanings of words you don't understand without switching screens. 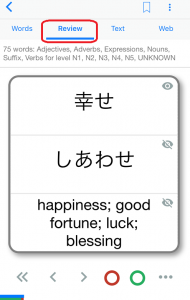 Save the words you looked up in your vocabulary notebook. 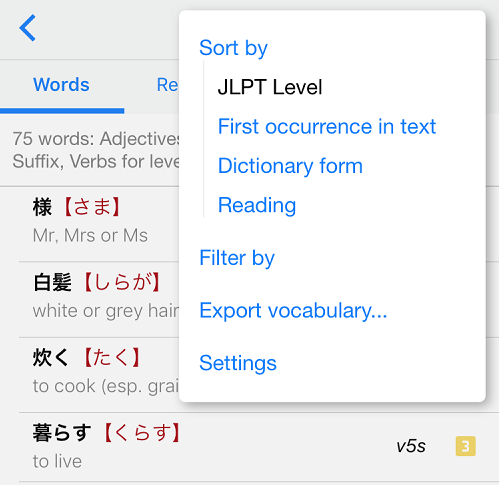 Sort articles and vocabulary by order of difficulty. 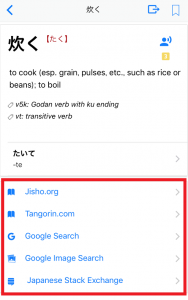 See the list of words that come up in a particular article. 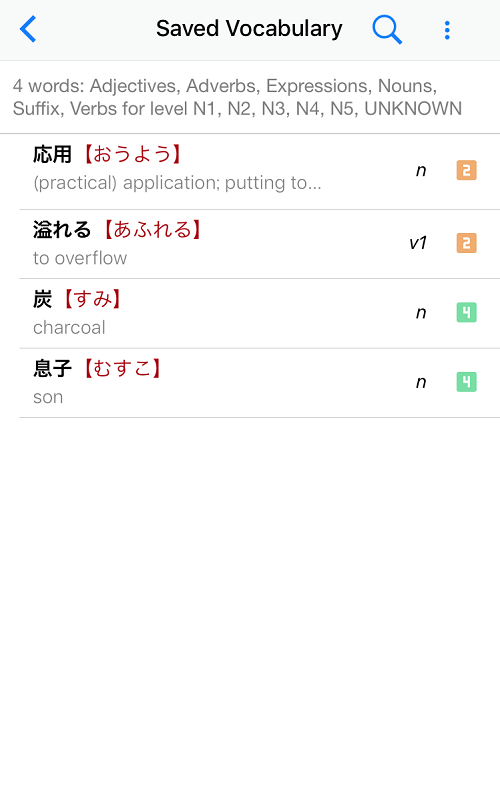 Narrow the level and add furigana to the kanji. 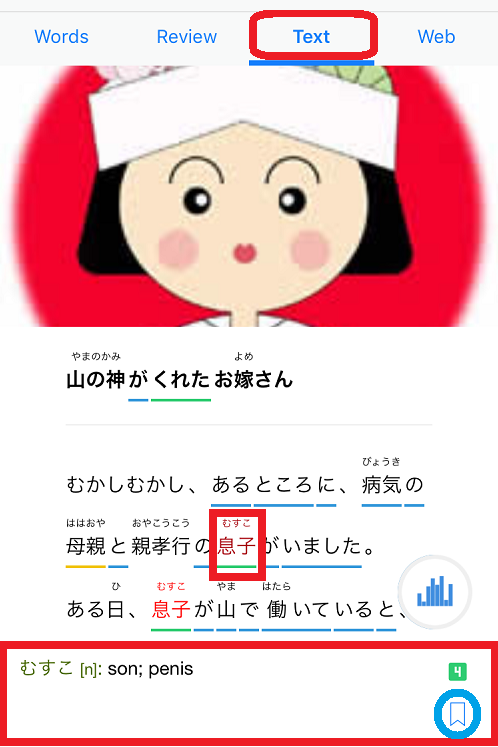 First tap the contents button on the upper left (red frame) and choose what you want to read from the four sites. A quick look at "Hukumusume" showed the articles within the site listed together. 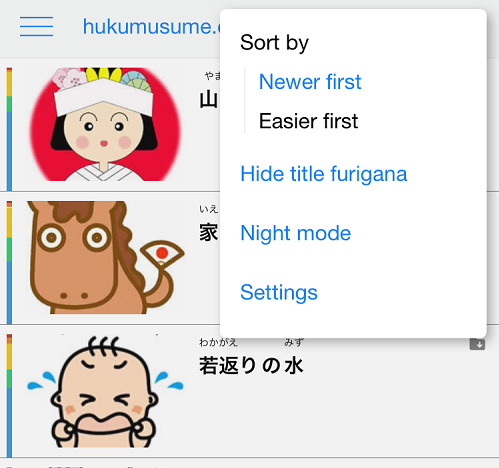 Use the pull-down menu at the upper right-hand side of the screen to sort articles by order of difficulty or to hide furigana. 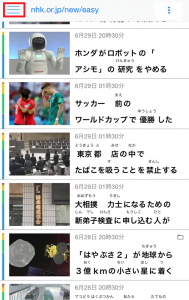 When you choose an article to read, you will see "Text". "Text" allows you to confirm the meaning with a pop-up that opens up when you tap on an underlined word. Pop-up screen after tapping "息子". 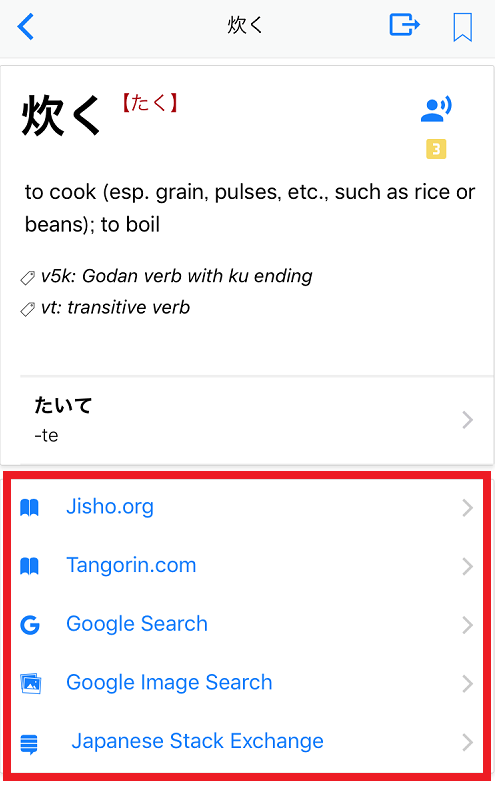 This is useful because you can tap the bookmark icon in the pop-up (blue circle) at any time, to see words in "Vocabulary" that you have looked up. 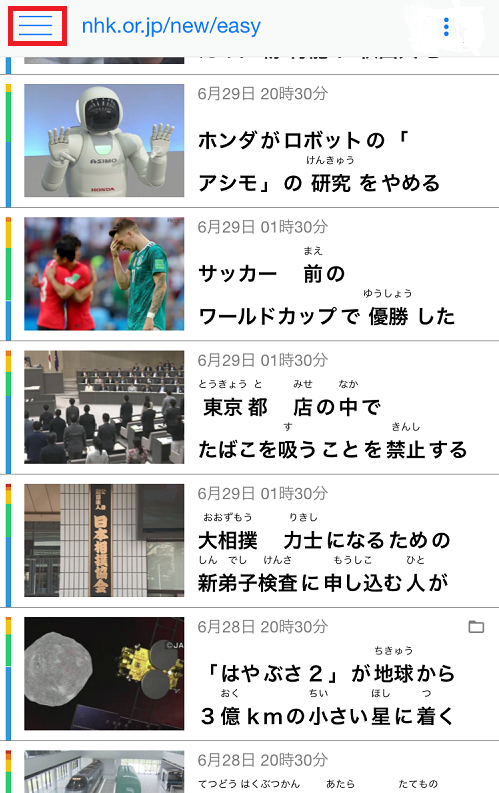 You can also listen to the Japanese by tapping the audio mark (green frame) in articles that have one. 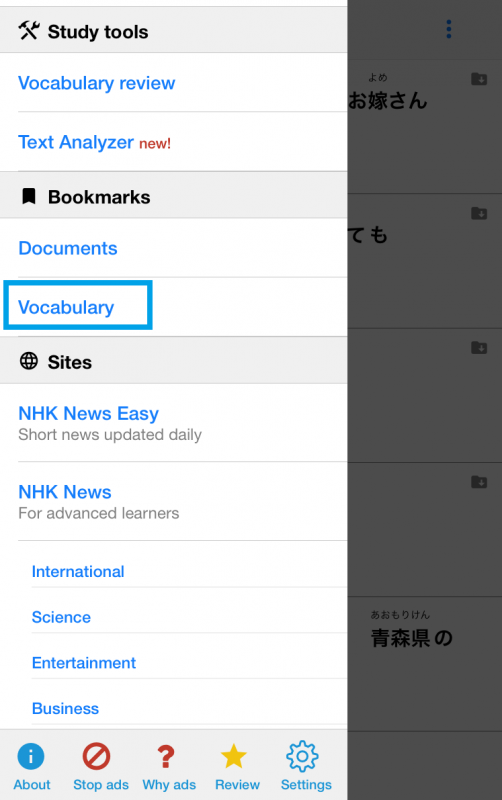 "Words" displays the list of vocabulary words that are in the article. 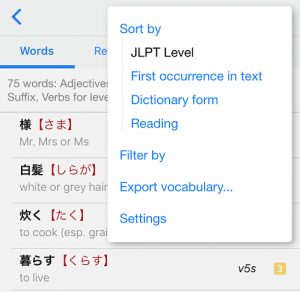 You can sort the vocabulary words by level or in dictionary form. 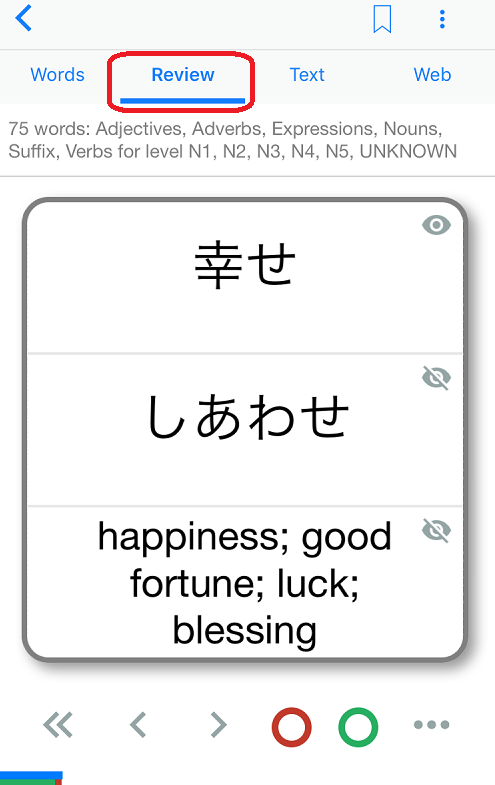 Tap the vocabulary word to show more details. 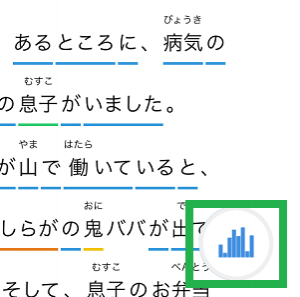 Use "Review" to see how well you understand the kanji, reading (hiragana), and meaning (English). 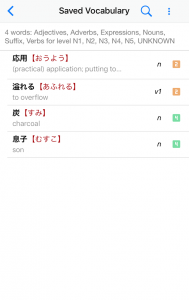 You will be able to use this to study Japanese comprehensively, beyond simply learning words or making a vocabulary notebook. 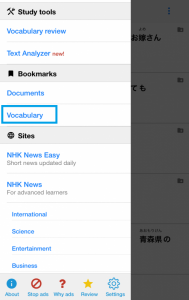 Use the updated articles well, to stay interested as you learn and deepen your understanding of Japan. 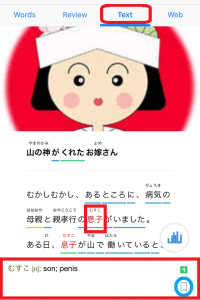 More information about this app.